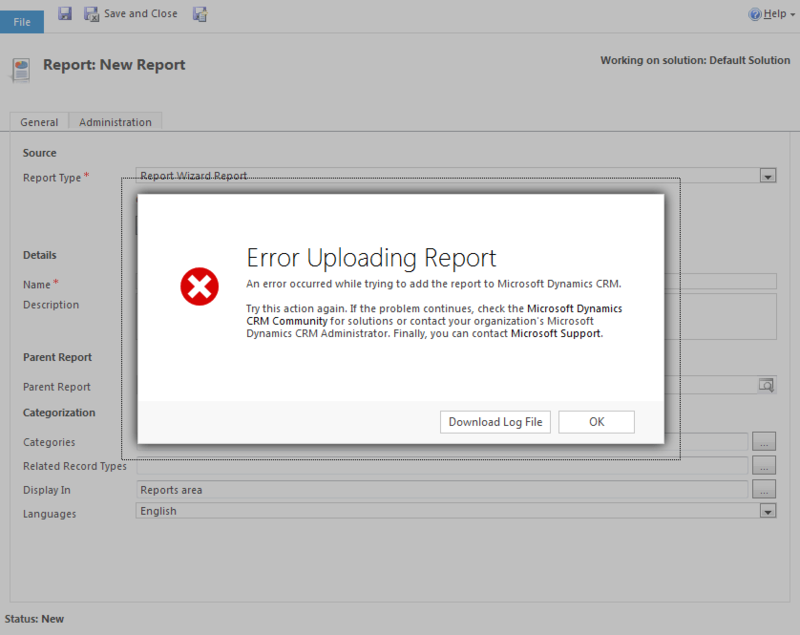 <Message>An error occurred while trying to add the report to Microsoft Dynamics CRM. Try adding the report again. After that, I opened the SDK for CRM and found this article that describes the limitations of reports in CRM Online. I went through all used formulas and replaced the parts that used Equals and Decimal.Zero. 1. Recheck that your report uses Fetch Xml DataSource. 2. Recheck all formulas that you have in your report and remove (or replace) all denied types and denied members. 3. Ensure that your report doesn’t use references to any assemblies.